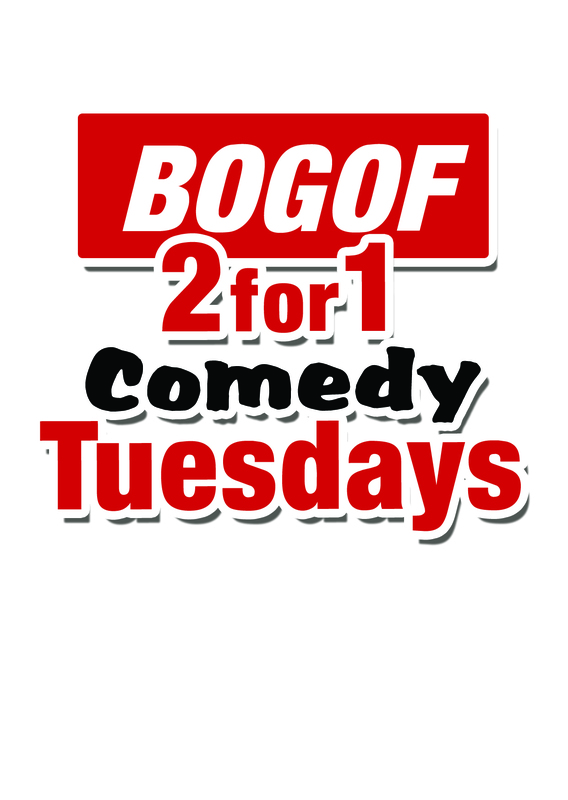 BonkerZ Presents BOGOF (Buy 1 Get 1 Free) Comedy Tuesdays. Oh yeah baby, cheap Tuesdays are back with a Laugh-A-Holic Vengeance! BOGOF is short for Buy 1 Get 1 free, that's right. Buy 1 ticket and we'll give u another Identical seat for FREE. That's right, select 1 ticket for purchase and that equals 2 seats in our show. Buy 2 tickets and get 4 seats in our show etc etc. Our buy 1 vip seat with drink choice and we'll give u another vip seat with a drink choice. Join use, each Tuesday night for a New line up of some of city's craziest comic. It's the only stand up comedy show that gets cheaper the more tickets you buy! Want to make a night of it? Buy 1 V.I.P Dinner Seat and we'll give you another V.I.P dinner seat for free. It's Killer Comics at a price that won't kill the budget. Book early BOGOF has limited 2 for 1 seats.